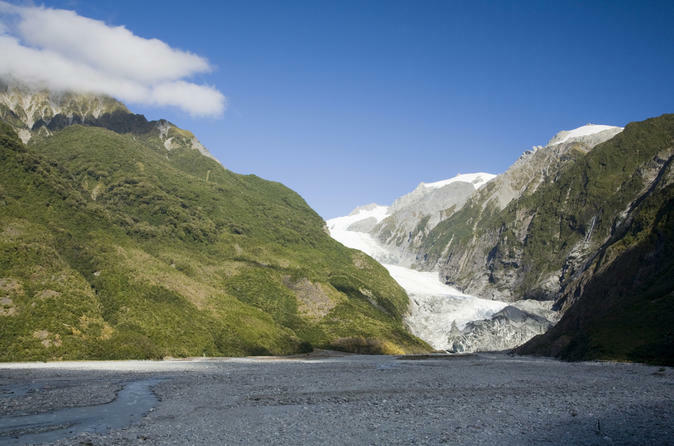 Discover the best of New Zealand’s natural beauty on this small-group 4-hour Franz Joseph Glacier walk. 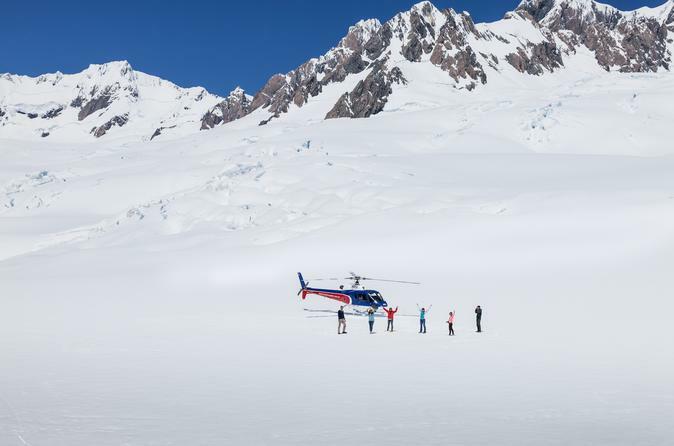 Travel by helicopter to the Pinnacles area of the glacier with your guide. 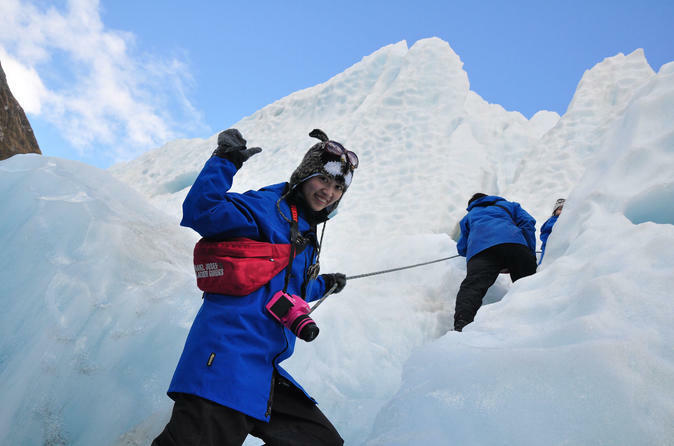 Navigate your way through the maze of ice on your moderately difficult hike. Learn of the dramatic environmental changes affecting the glacier and gain insight into the geological forces at play. Afterwards, take a soak in the hot pools to warm up and soothe your muscles (complimentary). Group size is limited to 11 to ensure a personalized experience. The perfect opportunity to get up close to the glacier and touch snow. 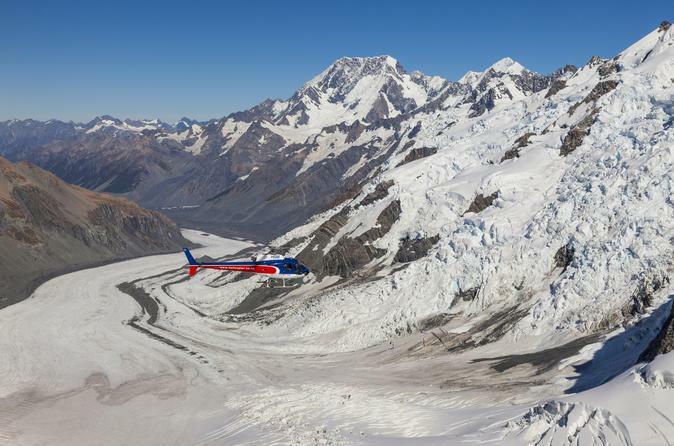 You'll be captivated as you lift off and fly up and over Fox Glacier and experience the solitude of landing in this wonderful natural alpine environment. Depart Fox Glacier Village, fly over the legendary Fox Glacier and snowfields and watch the crevasses and ice forms race by below you. Land in the snow above the icefalls of the glacier and experience the magnitude of the scenery surrounding you. Then let the impressive presence of Aoraki (Mount Cook) amaze you as you explore it's majestic west face, before descending down into the valleys below. Experience two of New Zealand's finest National Parks, divided by the imposing Southern Alps. 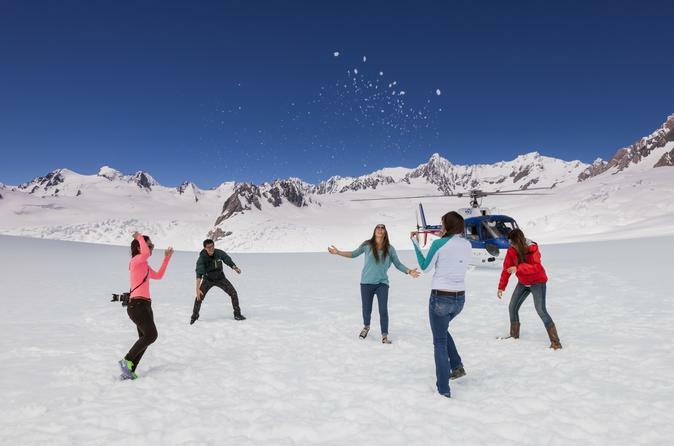 Discover the gigantic expanse of the Franz Josef and Fox Glacier snowfields with a helicopter landing at around 2134 meters (7000 feet). Learn about the stunning landscape as your professional pilot delivers an informative commentary en route. 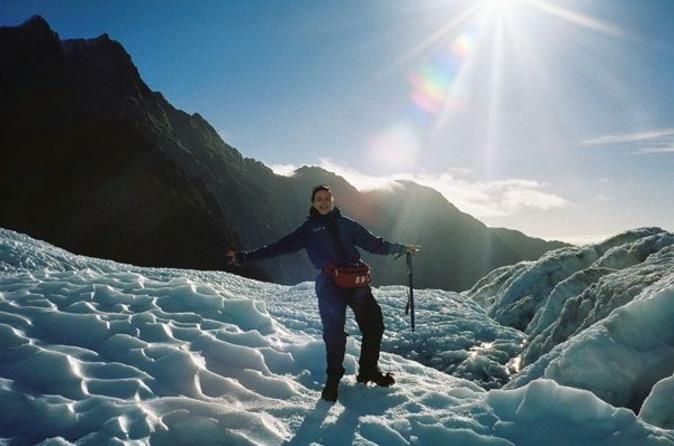 You'll walk along the Main Divide for fantastic views of the Tasman Glacier and Aoraki (Mount Cook) before heading back down towards the lush rainforests at the edge of the Tasman Sea. 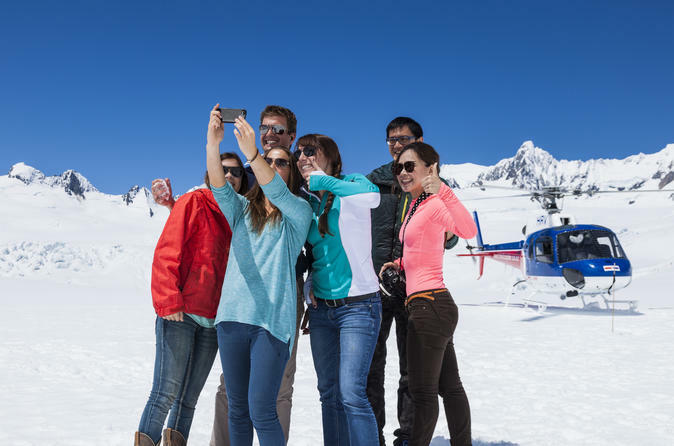 Fly over two of New Zealand's most famous glaciers and marvel at the mantle of pure white snow as you land at the head of either the Franz Josef or Fox Glacier. This landing site is the perfect place to view the incredible natural phenomenon of the glaciers as they wind slowly down the carved valleys from their origin in the mountains high above you. 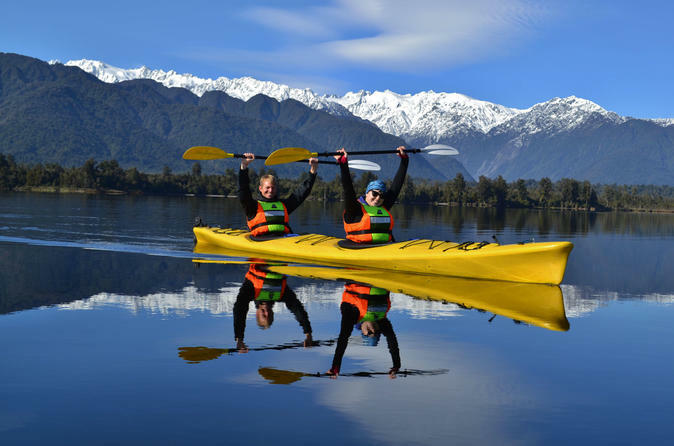 A unique kayak adventure, only minutes from Franz Josef Glacier! Set out across Lake Mapourika's mirror-like water and enjoy panoramic views of the surrounding Southern Alps and Glaciers. Explore a kiwi sanctuary set amidst some of the oldest untouched rainforest in Westland! 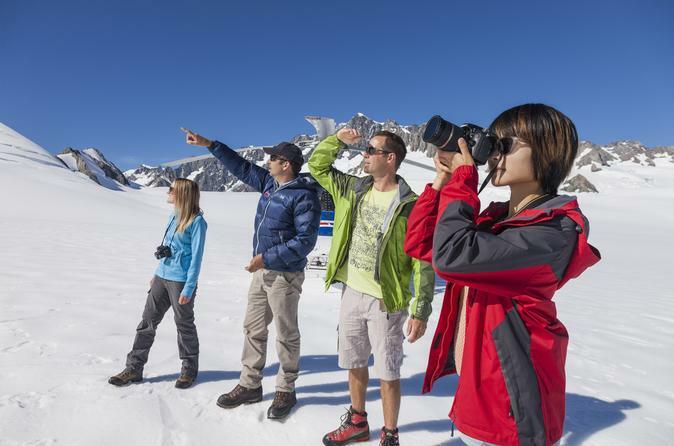 This tour lasts up to three hours and is designed to complete your Glacier Country Experience! 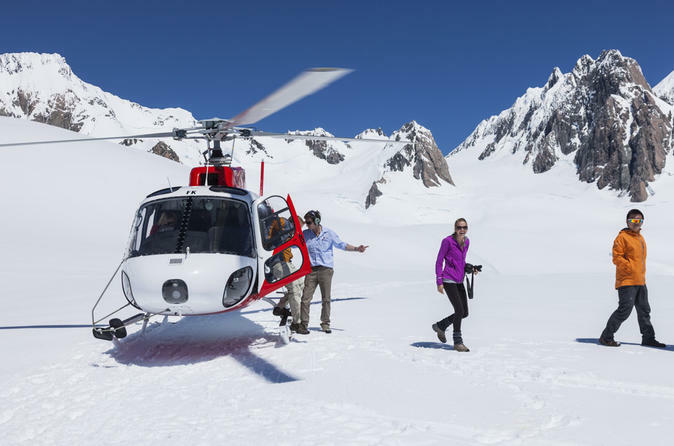 Enjoy the ultimate glacial experience on this 40-minute Mount Cook spectacular helicopter flight from Franz Josef. 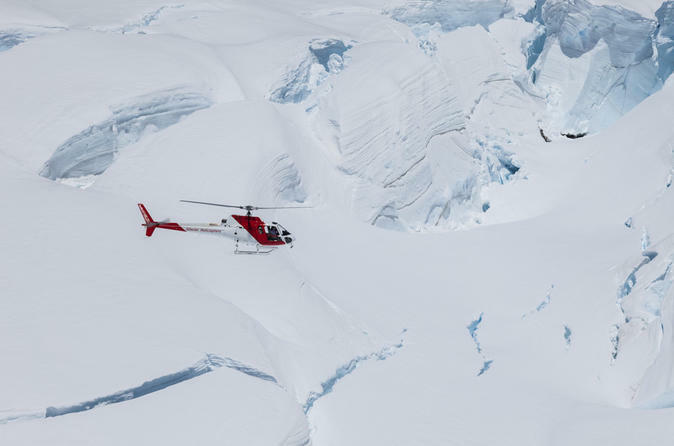 This flight tours covers it all including glacial icefalls and crevasses and neves. You will have views from the coast to mountain tops and you will get to see both glaciers and New Zealand’s highest peak. Cross the spine of the Southern Alps and circle the top of magnificent Mt Cook. 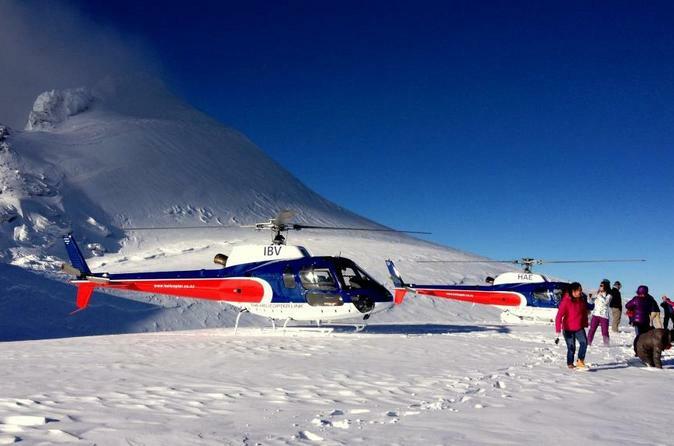 Topped off with a spectacular snow landing, this is the best helicopter experience on the West Coast.